In the spring of 2010, I was voted by my comrades in the 103rd Class of the junior class honorary, Bucket & Dipper, to lead the planning and promotion of our trip to Illinois to participate in the Illibuck Pass. That summer and fall, myself and fellow co-chair Amy Schwamberger created an on-field selection process, planned a tailgate party, and arranged travel and lodging with Atius-Sachem members at Illinois. We even orchestrated a presentation to the Ohio State football team during their preparation week before the Illinois game. Dining with Coach Tressel and Coach Fickell is a cherished memory. The selection process was created to determine which classmates other than the class president, myself, and Amy would participate in the Illibuck Pass. It was determined that a points system was most fair, and it incorporated earning points for volunteering, participating in events, and attending meetings. The more total points an individual accumulated, the higher probability they had of their name being selected. Each point equaled a slip of paper with their name on it to be drawn out of a hat. As extensive the planning was for the tailgate party, it did not happen due to a budget submission snafu - a la Elvis Dumervil in 2013 NFL Free Agency. The timing after the mix-up wasn't sufficient for us to procure funds and set up the event. This instance demonstrated to me the importance of backup plans, forgiveness, and supervision. 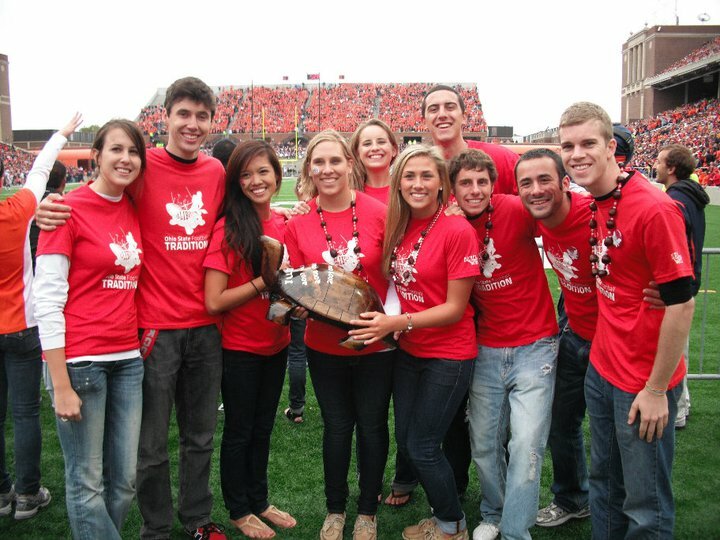 In reminiscing about that trip to Illinois to take part in this unique football tradition, I am proud to have been a part of the traditions associated with Bucket & Dipper, Ohio State football, and this incredible wooden turtle--Illy.